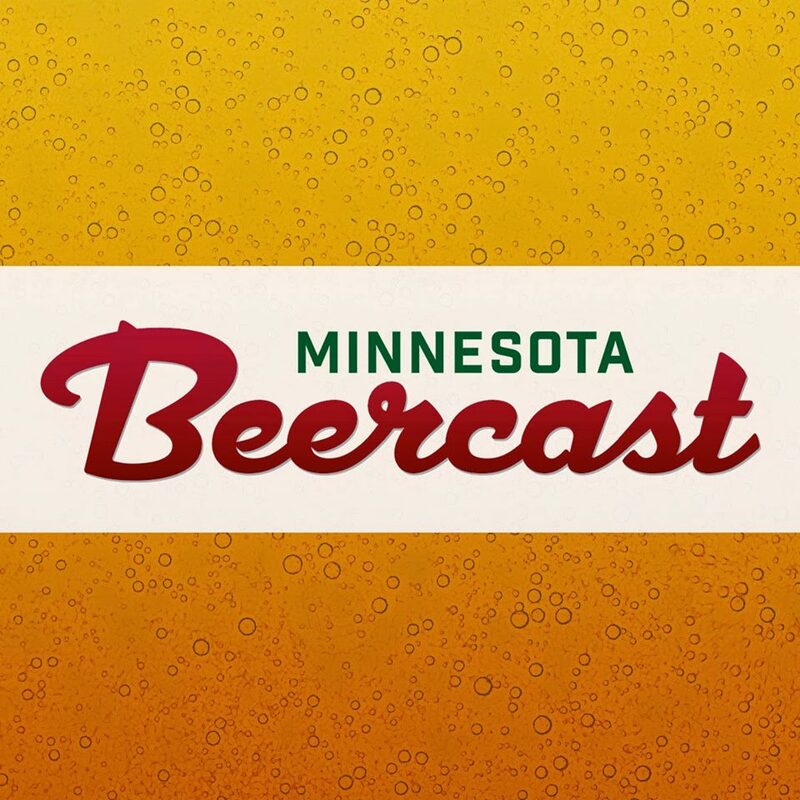 Late last week Senator Roger Reinert (D) and House Deputy Minority Leader Jenifer Loon (R) held a press conference to introduce several bills to repeal Minnesota’s Sunday off-sale liquor prohibition. 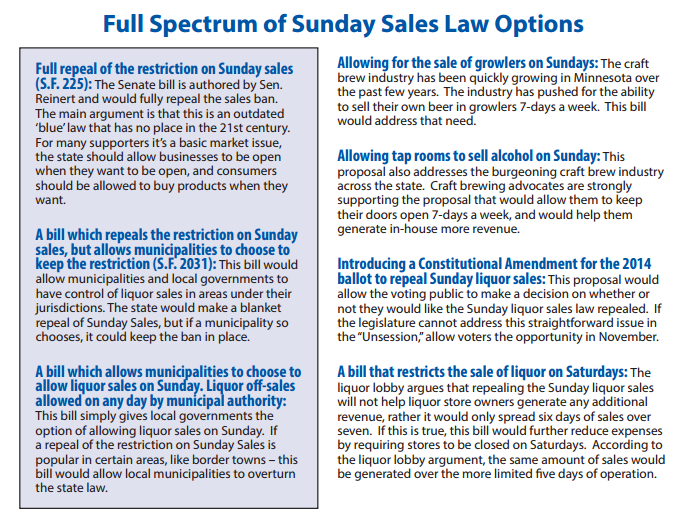 The proposed Sunday liquor sales bills cover a wide range of options. The bills are designed to give legislators some form of Sunday prohibition repeal legislation they are comfortable with. It is 2014, it is time some form of action is taken to stop sending Minnesota money over state lines. 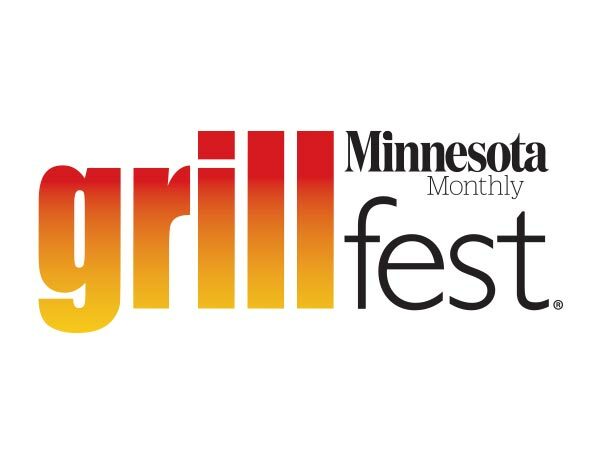 The most entertaining bill is the one that would restrict the sale of liquor on Saturdays. If 7 days a week are bad, and 6 days are better, 5 days must be great. Right? Right! One bill that seems to be getting a lot of traction is a Rep Sarah Anderson’s (R) bill to allow taprooms to sell growlers on Sundays. While grolwer sales on Sundays would be a great benefit to some taprooms, it wouldn’t help any of the off-sale retailers, nor would it help consumers that don’t live near a taproom. That is, if their local taproom would even choose to be open. It is all about having that choice, isn’t it? The question still remains if any of the Sunday sales bills will get heard in the House Commerce Committee at all. We met with House Commerce Chairman Rep. Atkins (D) last week and would not assure any hearings. If you want a Sunday liquor sales to get a hearing NOW is the time to contact your reps and ask them to make sure it gets a fair shot. The deadline to get heard in committee is fast approaching 3/21. 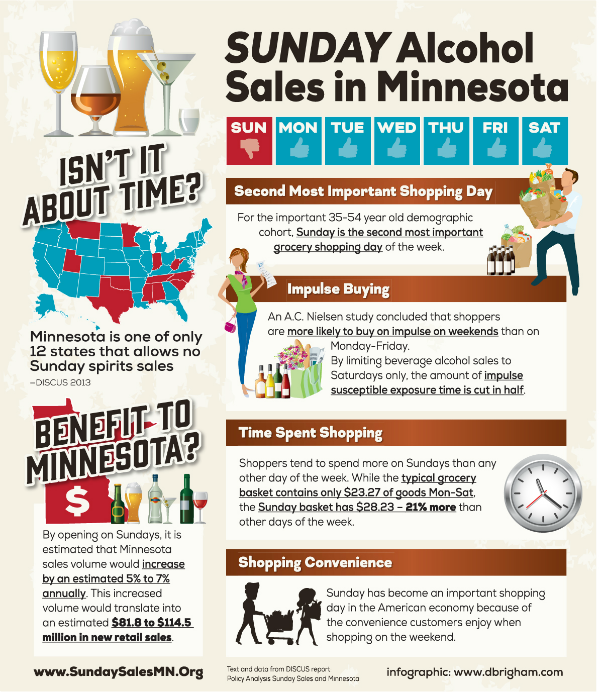 We know that polls show Minnesota voters support Sunday liquor sales 2 to 1. Even Representative Atkin’s own Facebook poll showed lopsided results in favor of repealing the Sunday sales ban. Let’s hope some form of action takes place. Sunday Liquor sales work in 38 other states. If states like Wisconsin and Georgia can figure out Minnesota should, too.